Combine your steam train transfer with an entrance ticket to the Cheltenham Festival. There are two types of entrance ticket available for the Festival, Club and Tattersall. 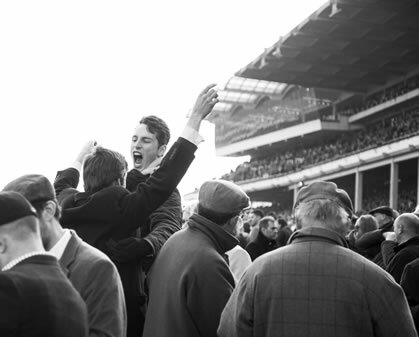 Club tickets allow you access to all areas of the racecourse including the Champagne bars located within the main grandstand and the viewing lawns overlooking the approach to the winning post. Tattersall tickets are a little more limited allowing guests access to the viewing areas after the winning post and in front of the Guinness Grandstand. A Guinness Grandstand seat can also be purchased with a Club or Tattersall entrance ticket, which will offer you a reserved seat for the day overlooking the last fence, perfect for those who want a good view of the racing.